Please drop your greetings and complements below. Happy Birthday ma and many Happy Returns of the day! The Lord will renew your strength and release more of His grace and anointing upon you in Jesus’s name. Amen. God bless you ma. 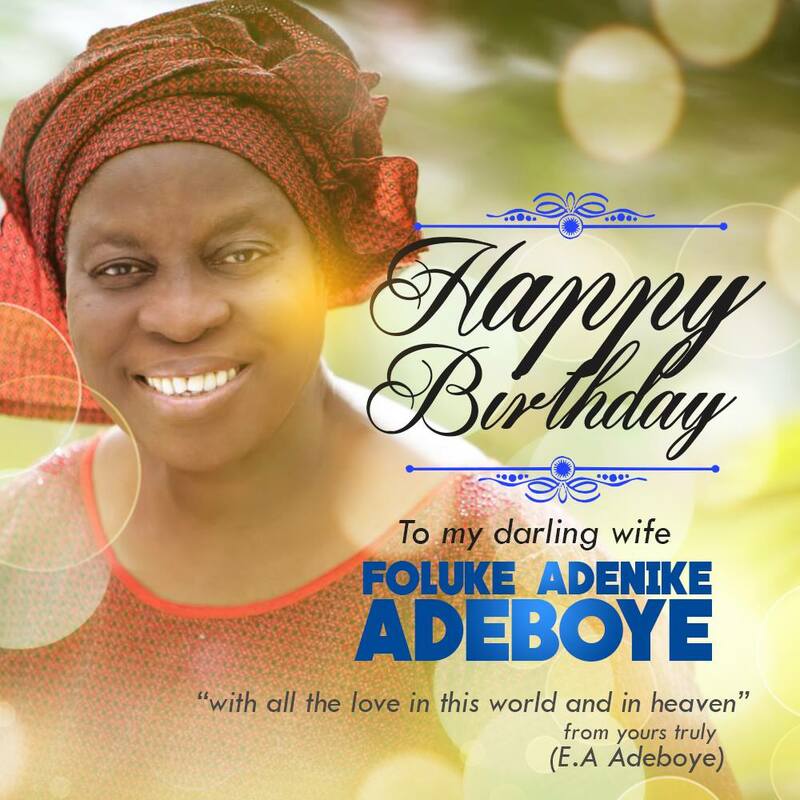 Happy birthday to our dearest Mother in Israel, Mother of Nations, A virtuous Woman & Model of Excellence, Pastor (Mrs) Tolu Adeboye. The Lord will keep you, strengthen you the more, His grace will never depart from you & the anointing of God in your life will continue to multiply year after year. Love you Mummy! Happy birthday to you Mummy. You will live long in good health and continually enjoy God’s blessings in Jesus’ name. The Lord shall continually grant you wisdom to administrate all that He has put under your charge in Jesus’ name. She shares same date with my daddy. I am so blessed to have them both. May God continue to increase your anointing ma.You will not miss heaven in Jesus name.You will continue to age with grace. Happy birthday to our own dear Mummy. Thanks for always praying for us your children. May God continue to bless you and your family in Jesus name, Amen! ! ! !